Getting a DUI can be a scary process, and fighting DUI’s can be complex and overwhelming navigating the courts and Department of Licensing. Clearing your record of a DUI is possible, but it depends on a multitude of factors, and it could take a very long time. If you or your loved ones are arrested for DUI, get legal representation as soon as possible. The Legislature here in Washington is ever updating our laws to top it off. 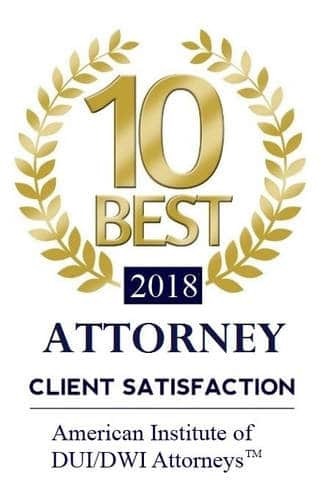 You need aggressive and experienced DUI lawyers in Maple Valley who know the laws, what you are facing, and will fight to protect your rights and get you the best possible results. DUI cases are complicated, but they can be won when the right lawyers are on your side. Call today to set up an appointment to discuss your case confidentially at no charge. What is a DUI in Washington? Driving under the influence of alcohol and/or drugs is charged as a gross misdemeanor in Washington State unless prior history gives rise to felony DUI. There are several ways you can be charged with DUI, with the most common being you provide a breath or blood test where your blood alcohol concentration (BAC) is above .08 or you refused to provide a sample and the officer alleges to have probable cause to arrest for DUI. You may also receive DUI-like penalties even if your BAC is under the legal limit. DUIs are serious offenses and carry harsh consequences, including fines, driver’s license suspensions, and possible jail time. The severity of your punishment may vary depending on your BAC when arrested. BAC levels above .15 and alleged refusals carry greater consequences than BAC levels under .15. Consequences can be significantly greater if a person has prior convictions for or reductions from DUI. Do not submit to the voluntary portable breath test (PBT). Request an attorney before answering questions or providing a breath sample at the station. When charged with this offense, you will be subject to both a criminal proceeding and an administrative action from the Department of Licensing. Effective January 1st, 2019, you will have 7 days from the incident date to request an administrative hearing to prevent the automatic suspension of your license. With this new law in effect, it is even more important to immediately contact a DUI attorney following an arrest. Regardless of your history or the circumstances of your case, Wood Sims Law will provide an exceptional defense for both the criminal and administrative proceedings and do everything possible to keep a DUI off your record and get you the results you deserve. When to Hire DUI Lawyers? DUI charges are very serious and can lead to serious penalties to your driving privileges and personal life. And that’s why you should protect yourself with legal representations in courts and Department of Licensing. Experienced and dedicated DUI attorneys can save you time, money and freedom, by getting your case dismissed or significantly reduced. You have been arrested for a DUI. This is not your first DUI arrest. Someone is injured or killed as a result of your DUI. You believe that you’re not guilty. You think you can reduce your charges. You’re a commercial driver (e.g. truck driver, delivery person, etc.). What Wood Sims DUI Lawyers in Maple Valley Can Do for You? Wood Sims attorneys have a combined experience of over 15 years in courts all throughout Washington state handling DUI cases. We pride ourselves on our ability to bring calm to the storm while providing a clear pathway for success. If you or your loved ones are arrested or charged with DUI, contact us as soon as possible. Defending against a DUI requires knowledge of how the police work and what can be done to counter evidence, and how to navigate the courts, judges, and prosecutors. Our DUI attorneys in Maple Valley have the experience, knowledge, and creativity to deliver the best defense strategy based on your circumstances and the best possible chance at a positive outcome. And More… If you have a question about our DUI coverage areas please contact us.